becoming Savannah's first fatality of the present war. 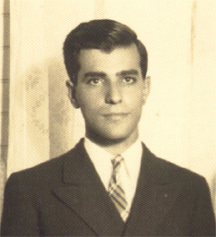 Staff Sergeant George K. Gannam, 22-year-old son of Mr. and Mrs. Karam Gannam of Fifty-third and Hopkins streets was killed in action in the defense of Hickam Field near Honolulu, Hawaii, it was announced yesterday by the army, becoming Savannah's first fatality in the present conflict. Sergt. Gannam's parents, who operate a store at Fifty-third and Hopkins streets were notified of their son's death yesterday afternoon. The news received from Fort McPherson stated that he had been "killed in action." He was attached to headquarters squadron of the Eighteenth Pursuit Group, stationed at Wheeler Field, Honolulu several miles from Hickam Field. A graduate of Benedictine Military School where he made excellent record in military, Sergt. 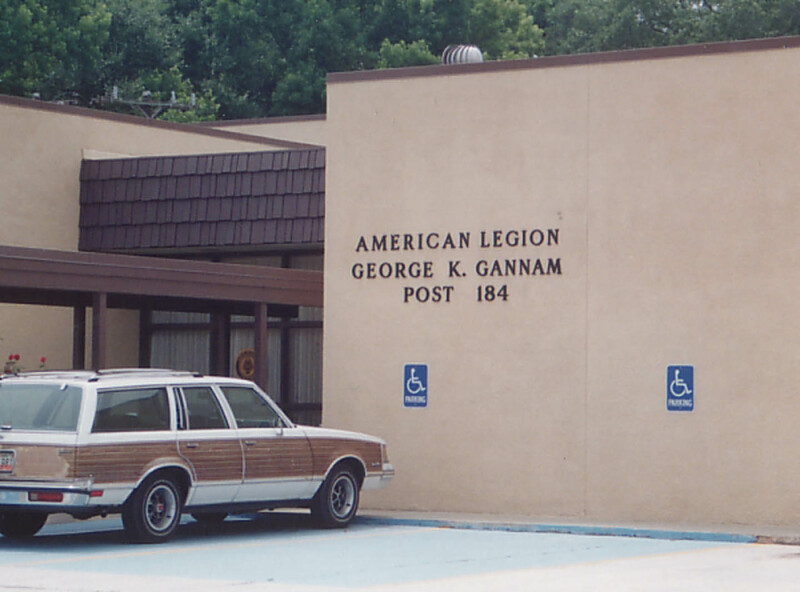 Gannam enlisted in the army in August 1939. Besides both parents he is survived by two brothers, Michael Gannam and Anthony Gannam and one sister, Mrs. Mary Saraf, all of Savannah; and another brother Nazer Gannam, who is in the United States navy stationed at Norfolk, Va. He will be buried in Hawaii until after the war, it was announced by the army. At noon today a flag which belonged to Sergeant George Gannam when he was a member of a boys' club in Savannah will be raised on a new flag pole at Fifty-third and Hopkins streets. 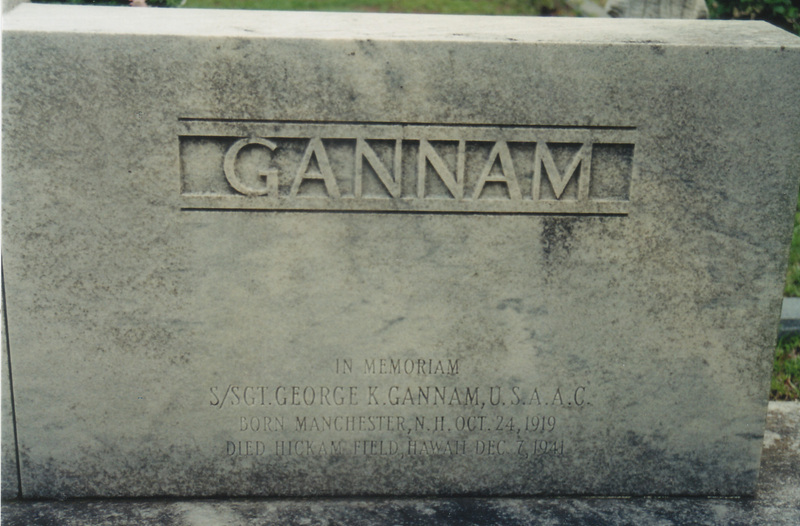 Sergeant Gannam, Savannah's first war casualty, made the original flag pole when he was a member of the boy's club. 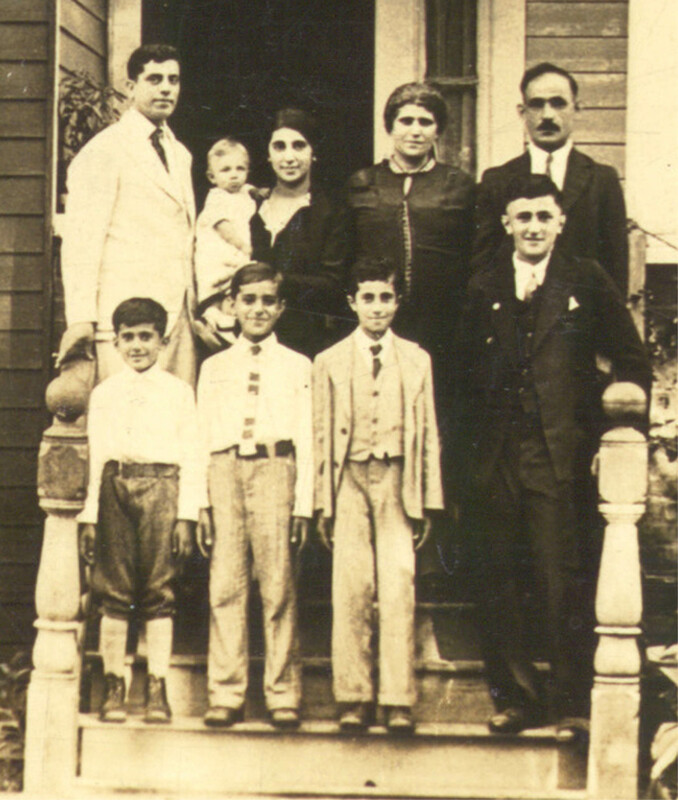 His father, Karem Gannam, is giving the new pole. Buglers from the senior class of Benedictine and a detail of the school's cadets will attend the flag raising. Sergeant Gannam was a graduate of Benedictine. The Mothers' Club of Benedictine School and the Catholic Young People's Association will place wreaths at the foot of the flag pole which is enclosed by a fence. Among those taking part in the ceremony will be the Rev. Father Gregory Eichenlaub, O.S.B., principal of Benedictine; Col. Fred Von Kamp, cadet colonel of the Benedictine Battalion; Capt. A.M. Gignilliat, Assistant P.M.S. and T., R.O.T.C. will attend. Sergeant Gannam died at Hickam Field, Honolulu, December 7, 1941. "The heroic death of another Catholic lad in the raid is related in the Catholic Herald, Honolulu paper. George Gannam, a fine member of the Holy Name Society, received communion from Father Sliney at the 6:30 a.m. Mass. Badly wounded in the bombing, he was taken to the army hospital. Father John K. Connelly, a chaplain from the Sacramento diocese was passing up and down the wards giving the Last Sacraments to the more seriously wounded. George called to him, but the priest, seeing the boy's face unhurt, asked him to wait. Finally he heard the soldier's confession and gave him Extreme Unction and Viaticum. "'How are you feeling?' he asked. 'Not bad, Father,' came the answer with a smile." "The priest lifted the blanket and saw that almost all the lower part of his body had been shot away. Before he died, he made sure that Father Conelly would send his watch and money to his mother." On December 7, 1942, the first anniversary of the Japanese attack on Pearl Harbor, a reception and memorial service were held in the reception room of Mayor Thomas Gamble’s office at 1 o’clock in the afternoon in City Hall in honor of those Savannah men who gave their lives for their country. At this reception, a portrait of Staff Sergeant George K. Gannam, Savannah’s first casualty of World War II, was unveiled. The portrait was hung in the mayor’s reception room, beneath the clock original to the room, as a lasting tribute to all Savannahians who lost their lives for the cause of freedom in the war. Staff Sergeant Gannam, a first generation American and graduate of Benedictine Military School, was killed in action on December 7, 1941 at Pearl Harbor. Following his death, Honolulu papers singled him out as “a model of patience and courage in the face of danger.” During the presentation of the portrait to the City, Father Gregory Eichenlaub, principal of Benedictine, stated, “George Gannam was a hero not because he did great things in the eyes of the world, but because he did the ordinary things of life extraordinarily well.” The ceremony opened with Robert F. Downing, city marshal, presenting a bouquet of red roses to Gannam’s mother. City Attorney Spence M. Grayson delivered the eulogy. 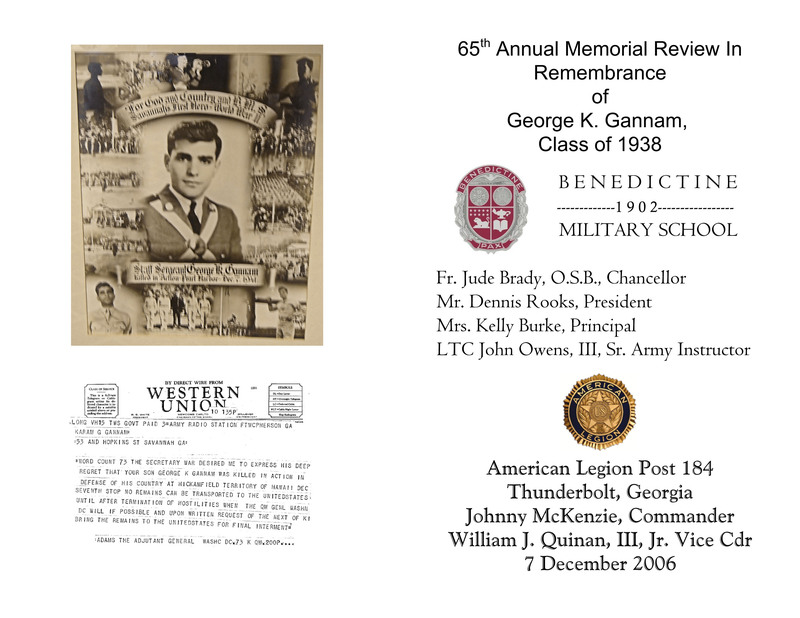 Two Benedictine cadets unveiled the portrait, one of Gannam in his uniform as staff sergeant of the school surrounded by scenes from his military life among the Benedictine cadets. Cadet Sergeant J. Goodwin, Jr. played “Taps,” and Reverend John S. Wilder, of Calvary Baptist Temple, delivered the benediction. Mayor Thomas Gamble accepted the portrait on behalf of the City: In accepting it for the city, I can assure all that it will be cherished as a precious memorial dedicated to all American boys who fell in line of duty in this war. As people enter this room and their attention is drawn to the portrait of Sergeant Gannam, their thoughts will revert to others who, like him, gave up their lives that freedom might live. Sources Curtis, Margaret. “Savannah to Remember Pearl Harbor at Memorial Service.” Savannah Morning News (7 December 1942) 16:2. “1942 Proves Banner Year for Production of First Line News.” Savannah Morning News (2 January 1943) 12:2-3. “Sergt. 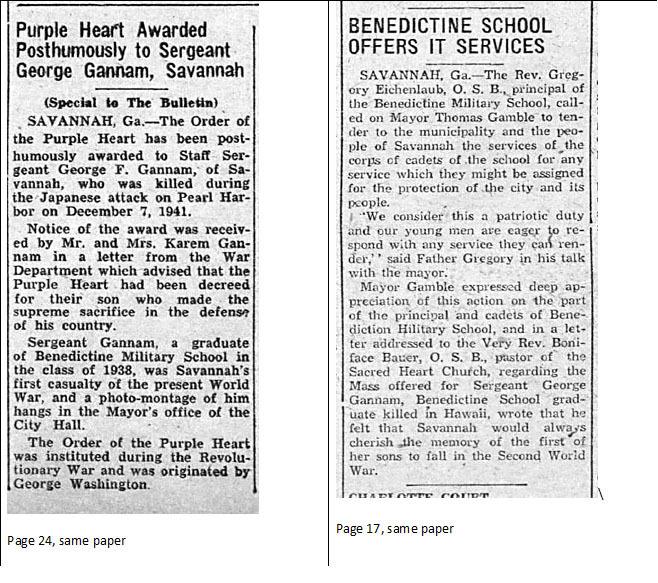 Gannam’s Memory Honored.” Savannah Morning News (8 December 1942) 14:2-4. Staff Sergt. George F.(sic) Gannam killed in the Pearl Harbor attack on December 7, 1941, has been posthumously awarded the order of the Purple Heart, according to a letter received by the hero's parents from the War Department. Savannah's first casualty of World War II, the youth has been honored in ceremonies here and a framed photo-montage of him hangs in the office of the Mayor at City Hall. The letter pointed out that the Purple Heart had been decreed for the young air corpsman who made the supreme sacrifice in the defense of his country. The award was originated by Gen. George Washington in the Revolutionary War and the one for the Savannahian is expected to arrive here within a week. I shall never forget the sadness and tremendous loss in our lives when my father was murdered on June 13, 1941, my mother lost the baby she was carrying right after his funeral, and George Gannam, my uncle was killed at Pearl Harbor on Dec. 7, 1941. Then to add further to these traumatic events, my grandmother, Annie Gannam died in June 1943 from the unending grief she suffered after George was killed. I remember being at Grandpa and Grandma's house with mom and my brothers and sisters on Dec. 7, 1941 and we were listening to the radio in their living room. Suddenly, our close knit, simple, and happy little world fell apart. News of the bombing of Pearl Harbor bombarded our ears and fear filled our hearts as the horrified reporters, Walter Cronkite was one of them, some with fear in their voices, announced the terrifying events unfolding in that once peaceful island. Then the telegram came bearing the bad news of George's death. No military person came by to break the news gently and with dignity, just that terrible little envelope delivered by the Western Union delivery boy. My grandmother broke down crying hysterically, and my strong and hard working grandpa just looked dazed as he tried to grasp what was happening, tears flowing pitifully down his cheeks. The next most traumatic moment was when George's belongings arrived, carefully packed in a wooden crate. We were all together as Anthony and Mike opened it. My poor grandmother could hardly bear it as they removed a shell purse that George had bought her for Christmas, and pictures of the family were removed, and a hula skirt and top was there for me as well as many other gifts for members of the family. He also had a diary, and prayer book, and rosary. George was a very spiritual young man and he loved his God and his family. Grandma could not stop grieving for her son, and she never was the same again. 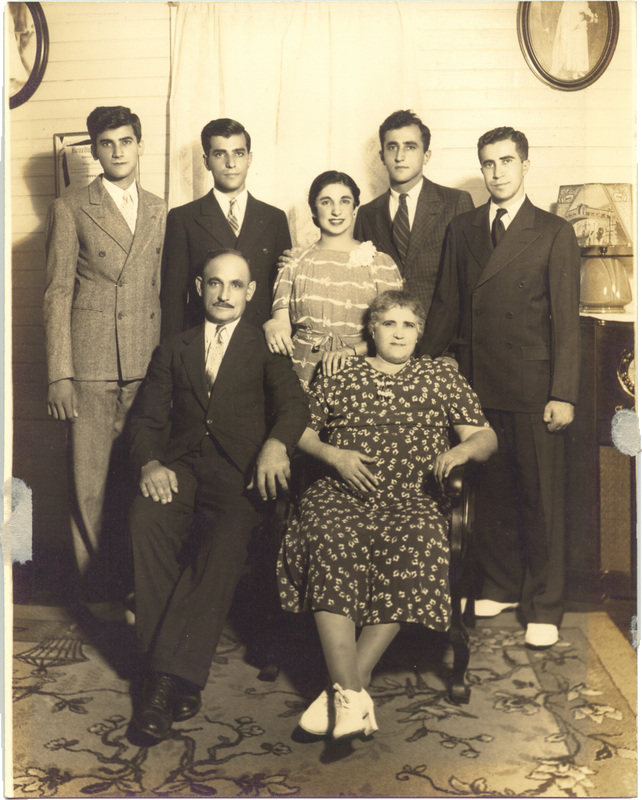 She had been a cheerful woman, happy with cooking her delicious Lebanese meals for her family, baking tub loads of pita bread, washing their clothes in a big iron pot over a raging fire in the back yard, and having them all hanging on the line at 5 o'clock in the morning. We could see them all hanging on the line when we woke up in the morning to go to school, as we lived right next door. She never complained about all the work she had to do and how she worked from daybreak to night. And then her grief took her to her grave . Mary Gannam Saraf Beecher lived next door to her father, their houses separated only by Grandpa's garden and a fence in the back yard. 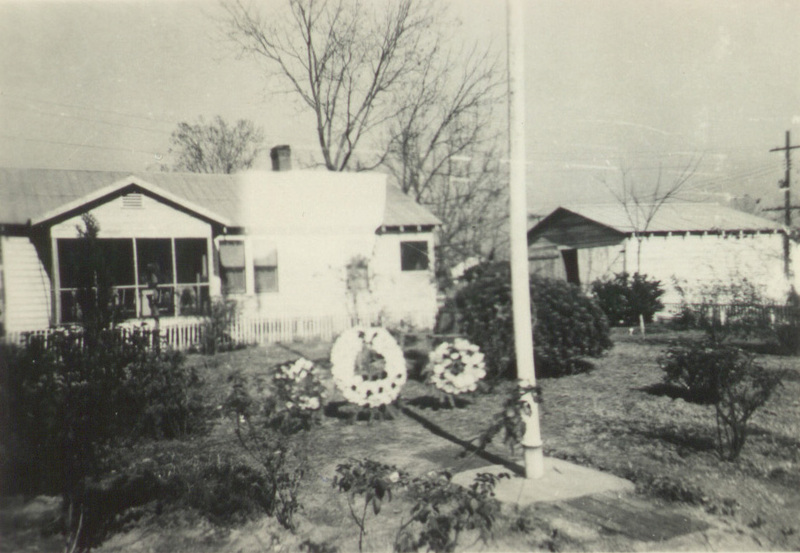 To me it was a wonderful little farm with chickens, trees full of "bairs" from which my Grandmother made the best cobbler and preserves I've ever eaten, pecan trees, vegetables and beautiful flowers. My Aunt Iris and I are only a year apart, so I spent the night at Grandma's house many times when I was a child and was able to spend time with my Great Grandfather. He was always anxious to share with us stories of his life in the foundry, his wisdom and thoughts on life (along with candy cigarettes, red wax lips and an ice cold Coca Cola from his store). Because I was a child, I never fully understood the trauma that befell the family when George died. The only thing I knew was that my Uncle George was the first man from Savannah to die in World War II. 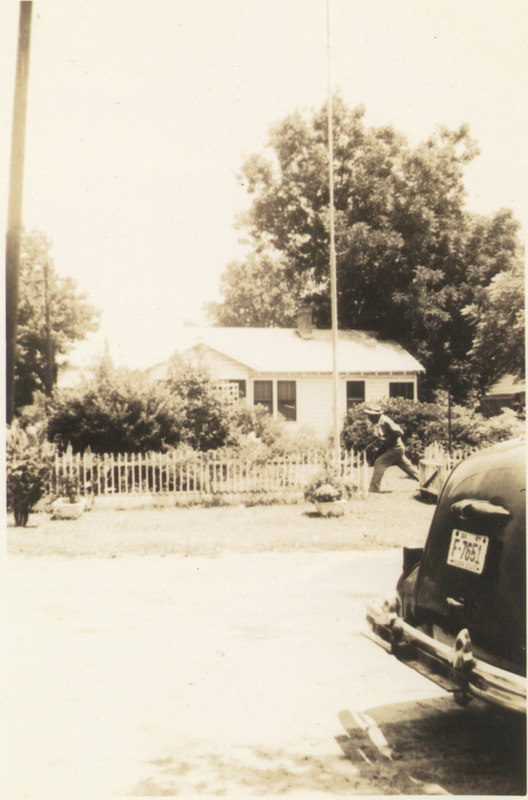 I did not realize that Grandpa had erected the flagpole that stood in the little "park" across the street from his home as a memorial to his son. I did, however, watch him on many occasions raising and lowering that flag with more care, love and reverence than I have ever seen anyone doing anything. I have read the newspaper stories and Phyllis' remembrances about George's death and my heart aches thinking of the family reading those words and learning of his final moments perhaps from that same newspaper. Now I understood the love, the care, the reverence Grandpa had for that Flag for it not only represented this Country but his precious son. ______ I'm a retired Radio Broadcaster and collect Old Time Radio shows. After listening to this program, I searched for info about George Gannam, the first person described. Click on the link, and you may listen to and or download the entire program. This sound recording is a Columbia Broadcasting System (CBS) public service program which featured Sergeant Alvin C. York, World War I veteran, speaking from Knoxville, Tennessee; and Richard Martin Scheuns, Sr., a German - American veteran of World War I, speaking from Memphis, Tennessee. Barry Kroger was the narrator.